Former AL MVP and San Francisco Giants executive Al Rosen died Sunday at age 91. A fascinating baseball life came to an end Saturday with the passing of Al Rosen at 91. 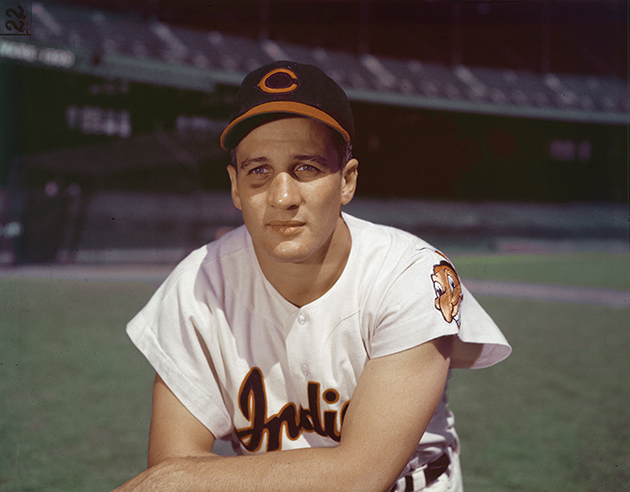 Best remembered for winning the American League’s Most Valuable Player award in 1953 as Cleveland’s third baseman, Rosen shined brightly but only briefly as a player and would later reach similar levels of accomplishment as a general manager, becoming the only former MVP to also earn the Executive of the Year award. For all of his achievements, there was a fair amount of frustration and tragedy in Rosen’s long life. His father, described by his mother as a “ne’er do well” abandoned his family when Rosen was an infant. He suffered from asthma in his earliest years, and after his mother moved the family from South Carolina to Miami’s Little Havana in an effort to find a more agreeable climate for her ailing son, Rosen spent the rest of his youth battling anti-Semitism as one of the few Jews in his new neighborhood. As a result, Rosen grew up tough. An amateur boxer while at the University of Florida, his professional baseball career was halted almost as soon as it started by World War II. Rosen enlisted in the Navy in 1942, saw action in the South Pacific and rose to the position of lieutenant before returning to baseball in 1946 at the age of 22. Rosen debuted in the majors in 1947, and while he immediately revealed himself to be a tremendous hitter, he wasn’t well regarded as a third baseman and remained blocked in the Indians' lineup by slick-fielding veteran Ken Keltner for several seasons. He played just 35 games in his first three campaigns before finally getting his chance in 1950. From that year through '54, Rosen hit .298/.396/.528 (151 OPS+) for Cleveland while averaging 31 home runs and 114 RBIs per season, leading the American League twice in home runs, twice in RBIs and twice in total bases. His best season was 1953, when he hit .336/.422/.613 (180 OPS+) with 43 home runs, 145 RBIs, 115 runs scored and 367 total bases, leading the majors in RBIs and OPS+ and the AL in runs, home runs, slugging, OPS and total bases. His 10.1 wins above replacement that season (using Baseball-Reference.com’s formula) were also a major-league-leading total and stand as the most ever in a single season by a third baseman. Rosen got off to a blazing start in 1954 but was briefly moved to first base early in the year and broke a finger playing the position in early June. That injury cost him 11 games and slowed his production thereafter. Despite that, he started his third straight All-Star game that summer, hitting two home runs before the hometown crowd at Cleveland Stadium. With Rosen hitting .300/.404/.506 and adding 24 home runs and 102 RBIs, the Indians went on to win a then-AL-record 111 games to prevent the Yankees from winning the pennant for the first time since 1948. However, Rosen managed just three singles and a walk against the Giants in the World Series as Cleveland lost in four straight. That off-season, Rosen’s car was rear-ended, leaving him with whiplash and chronic back pain. He was never the same player, though he did make one more All-Star team and hit another 21 home runs in 1955. After a second disappointing season in '56, Greenberg, then the Indians' general manager, tried to cut Rosen’s pay for a second consecutive season. Disgusted, Rosen retired at 32. After returning to college, Rosen found success in a second career as a stock broker and casino executive. Shortly after his first wife fell to her death in 1971, he attempted to return to baseball, submitting a bid to buy the Indians with Cleveland native and fellow businessman George Steinbrenner in 1972. When their bid failed, Steinbrenner bought the Yankees, with Rosen among the minority investors, in 1973. Five years later, Steinbrenner hired Rosen as his team president and chief operating officer. Caught in the crossfire between Steinbrenner and manager Billy Martin in New York, Rosen quit midway through the 1979 season, but not before hiring former teammate Bob Lemon to replace Billy Martin in July of 1978 and negotiating the 10-player trade that brought pitching prospect Dave Righetti over from the Rangers. After his resignation, Rosen was hired by Bally’s Hotel and Casino in Atlantic City. He, in turn, hired Willie Mays as a “goodwill amabassador” for Bally’s, leading to commissioner Bowie Kuhn’s controversial decision to ban Mays from the game, a ban lifted by Kuhn’s successor, Peter Ueberroth, in 1985. [daily_cut.mlb]In October 1980, Rosen was hired by the Astros as their general manager. He replaced the popular Tal Smith, who had been ousted by owner John McMullen following a season in which Houston had made the playoffs for the first time in franchise history. Nonetheless, the Astros had winning records in three of Rosen’s five years as GM, and he became well-regarded enough that the Giants hired him away in September 1985. The next year, Houston won the NL West, thanks in large part to MVP and Cy Young award winner Mike Scott, whom Rosen had stolen from the Mets in December 1982, and slugging first baseman Glenn Davis, whom Rosen had drafted in 1981. Rosen’s greatest success as a general manager came in San Francisco, where he helped build the team that would win the National League West in 1987 and '89. Rosen won the Executive of the Year award for the first of those division titles, which snapped a 15-year postseason drought for the Giants. In 1989, San Francisco won its first pennant in 27 years while Kevin Mitchell, whom Rosen acquired from the Padres midway through the '87 season, won the NL MVP. Once again, however, Rosen's greatest success was laced with tragedy and disappointment, as the World Series was interrupted by the Loma Prieta earthquake, around which the Giants were swept in four games by the A’s. Rosen resigned from his post in November 1992. It was effectively a retirement, though he would occasionally consult for teams and did return to Steinbrenner’s fold as a special assistant to Yankees general manager Brian Cashman in 2001 and '02. Rosen’s playing career was too short to merit serious Hall of Fame consideration, or even eligibility. Having played just seven full seasons in the majors, he never appeared on a ballot, though he was part of the Golden Era Committee that elected fellow third-baseman Ron Santo in 2011. Nonetheless, Rosen will be remembered fondly by those within baseball and by fans of the game as one of the most respected individuals to pass through the sport in the second half of the 20th century. He is survived by his second wife, three sons, two step-children, four grandchildren and a great-granddaughter.